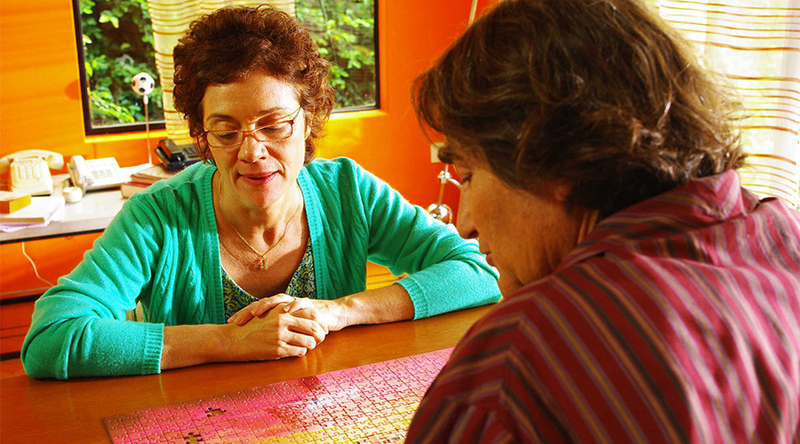 Maria’s husband and children give her a puzzle for her 50th birthday. She’s delighted, and finds it a great discovery. Not only does the patient housewife have fun doing the puzzles, she’s also really good at them. Overflowing with enthusiasm for her new-found passion, she goes back to the shop where they bought the gift for another puzzle. This is a delightful film and one we hope members will enjoy and (dare I say it…) puzzle over?